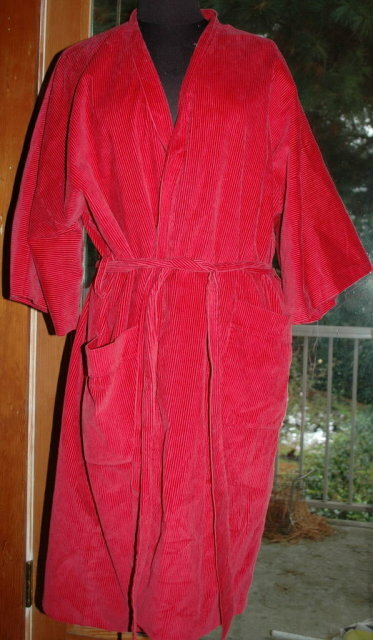 Vintage 1940s Mens Smoking Jacket Robe from Littler . The tag says "Seattle Wash. Pebble Beach Cal." It is a crushed corduroy that is satin lined. It is belted with no buttons. 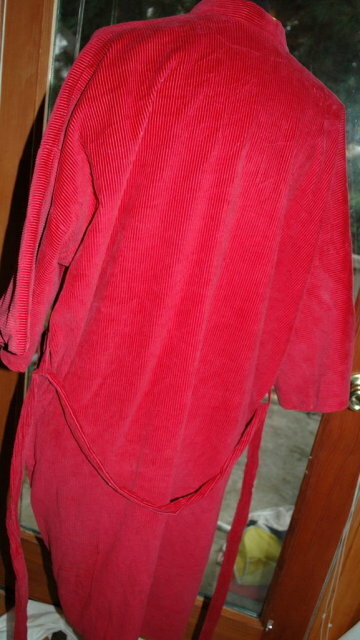 It is loose fitting and is a medium or large. The condition is excellent.